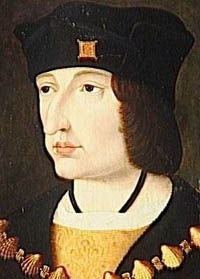 Charles VIII, Roi de France was born on 30 June 1470. He was the son of Louis XI, Roi de France and Carlotta Principessa di Savoia-Piedmonte.1 He married Anne de Dreux, Duchesse de Bretagne, daughter of François II de Dreux, Duc de Bretagne and Marguerite de Foix, on 6 December 1491 at Langeais, FranceG. He died on 7 April 1498 at age 27 at Amboise, Bourgogne, FranceG. He was buried at Saint-Denis, Île-de-France, FranceG. Anne de Valois was born in April 1461. She was the daughter of Louis XI, Roi de France and Carlotta Principessa di Savoia-Piedmonte. 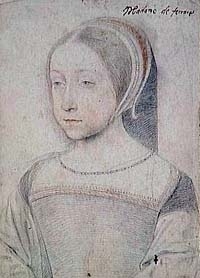 She married Pierre II de Beaujeu, Duc de Bourbon, son of Charles I de Bourbon, Duc de Bourbon and Agnes de Bourgogne, in 1473.2 She died in 1522. 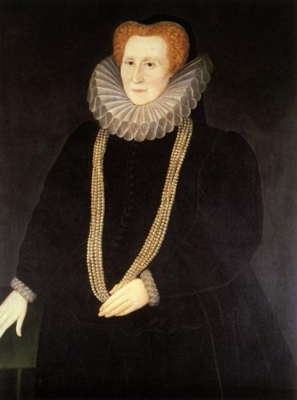 Elizabeth Hardwicke also went by the nick-name of 'Building Bess'.1 Elizabeth Hardwicke also went by the nick-name of Bess of Hardwick.4 From 1543, her married name became Barley.4 From 1547, her married name became Cavendish. From circa 27 August 1559, her married name became St. Loe.5 After her marriage, Elizabeth Hardwicke was styled as Countess of Shrewsbury on 9 February 1567/68. From 9 February 1567/68, her married name became Talbot. She prevailed on her first husband, who died without issue, to settle his estate on her and her heirs, who were abundantly produced from her second marriage. Her third husband, who was very rich, was led by her persuasions to make a similar disposition of his fortune, to the utter predudice of his daughters by a former wife; and now, unsated with the wealth and caresses of three husbands, she finished her conquests by marrying the Earl of Shrewsbury, the richest and most powerful Peer of his time. To sum up her character, "she was a woman of a masculine understanding and conduct; proud, furious, selfish and unfeeling." [S97] Mary S. Lovell, Bess of Hardwick, page 116-118. Anne de Dreux, Duchesse de Bretagne was born on 25 January 1476. She was the daughter of François II de Dreux, Duc de Bretagne and Marguerite de Foix.2,1 She married, firstly, Charles VIII, Roi de France, son of Louis XI, Roi de France and Carlotta Principessa di Savoia-Piedmonte, on 6 December 1491 at Langeais, FranceG. 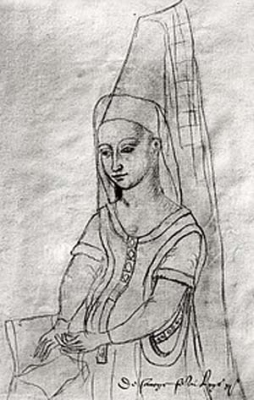 She married, secondly, Louis XII, Roi de France, son of Charles d'Orléans, Duc d'Orléans and Maria von der Mark-Kleve, on 8 January 1499 at Chateau de NantesG. 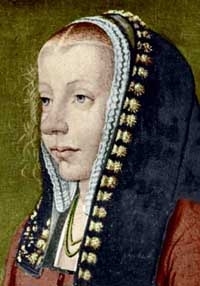 She died on 9 January 1514 at age 37 at Chateau de BloisG. She was buried at Saint-Denis, Île-de-France, FranceG. She gained the title of Duchesse de Bretagne. Catherine Prinzessin von Brandenburg-Küstrin was born on 10 August 1549. She was the daughter of Johann I Markgraf von Brandenburg-Küstrin and Katherine Herzogin von Braunschweig-Wolfenbüttel.1 She married Joachim Friedrich Kurfürst von Brandenburg, son of Johann Georg Kurfürst von Brandenburg and Sophie Prinzessin von Liegnitz, on 8 January 1570. She died on 10 February 1602 at age 52. Charles (?) was the son of Charlemagne, Emperor of the Holy Roman Empire and Hildegard of Vinzgau. He died in 811.